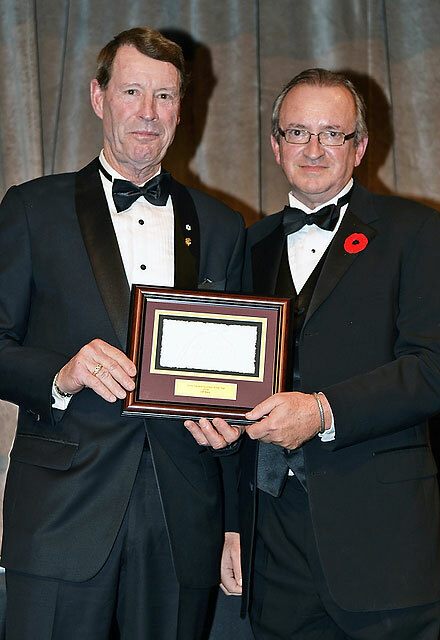 Toronto, Ont., Nov. 9, 2014–Canadian Pacific (CP) has been named the Jump Canada Sponsor of the Year for 2014 in recognition of the railroad’s renewed commitment to the sport of show jumping in Canada. In 2014 CP took the reins at Spruce Meadows in Calgary, securing title sponsorship of both the Grand Prix at the ‘Continental’ and the $1.5 million CP International, which is part of the prestigious CSIO5* Masters tournament for a period of three years. 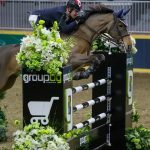 The $1.5 million CP International in September presented the largest prize money ever offered for a single-day event in show jumping history — making it the richest event of its kind in the world. The return of this iconic brand to Spruce Meadows brought with it a most memorable season of sport and increased sense of community. 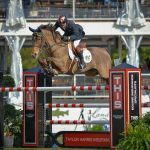 Ian Millar’s historic victory in the CP International was something that Canadians celebrated from coast to coast-to-coast. 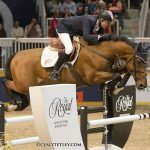 CP is also a presenting sponsor of the International Bromont, held in Bromont, Que., and the railroad has enlisted Ian Millar, the most decorated and renowned equestrian in the sport, to wear the CP brand. 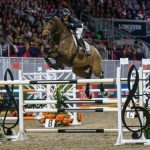 Created in 2005, the Jump Canada Sponsor of the Year Award recognizes the significant impact that corporate sponsorship has on Canadian show jumping sport. 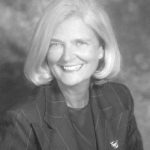 Past recipients include Kubota Canada Ltd. (2005), Canadian National Railway (2006), BMO Financial Group (2007), Greenhawk Harness and Equestrian Supplies (2008), Frantisi Inc. (2009), Cavalor Inc. (2010) Samuel Group of Companies and Sam-Son Farms (2011) and Running Fox (2012). Photograph may be used one time only, in relation to the above news item. Photograph also available in high resolution, please e-mail jcull@equinecanada.ca. (c) 2017 Miller Brooke Farm. All rights reserved.